Umrah is an extremely important Holy activity and if accepted by Almighty Allah, it can bring countless blessings and benefits to the Muslim. Keeping all these benefits in mind, Muslims from all over the world try their level best to perform an Umrah as many times as possible in their life. The reason behind this is simple, they are aware of the terrific benefits of performing an Umrah and in order to get those benefits and to make Almighty Allah happy, they always strive to maximize the total count of Umrah they have performed in this limited life. It is a fact that this life is not endless and it will come to an end after a short while. Therefore in order to make your life hereafter peaceful and free of trouble, it is extremely important to keep focusing on maximize the number of good deeds you have performed in this world. There is no doubt that an Umrah has unlimited rewards in itself but it doesn't mean that the people going for an Umrah trip stop offering prayers. Keep in mind that Salah or prayer is obligatory and whether you are on an Umrah trip or even if you are doing Jahad in the path of Allah, you are not allowed to skip or leave the prayer. It is an undeniable fact, therefore you need to make sure that while on an Umrah trip, in addition to performing an Umrah, you need to focus on making sure that you will be offering the prayer 5 times a day. And it is not only for Umrah trip, throughout your life you need to make it a routine to offer prayer 5 times a day because this is something you have to do under all circumstances. The basic purpose and goal of performing an Umrah are to make Almighty Allah happy and to get forgiveness from God. If a person has performed Umrah thousands of times but he or she is not offering prayer regularly, it is unlikely that he or she will be able to make Almighty Allah happy. 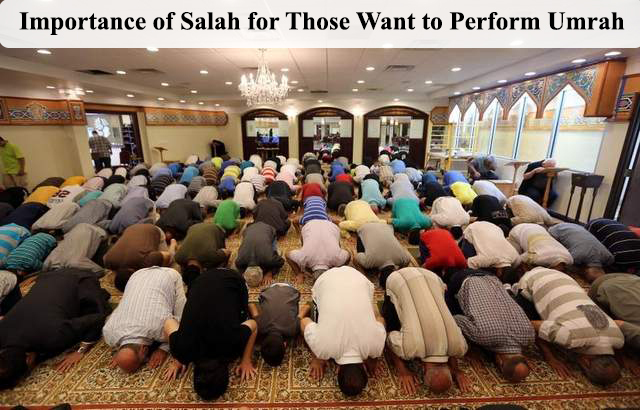 The reason behind is that Almighty Allah has declared Salah obligatory and you may have to face tough consequences as a result of leaving the prayer. Therefore in order to achieve the actual goal of performing an Umrah, an individual needs to ensure that he or she is offering prayer five times a day. It is only after strictly following the routine of offering prayers five times a day, you can consider yourself in such a position that you have got very strong chance to be forgiven in the life year after. Without offering prayer, it is unlikely that you will be able to make Almighty Allah happy and get a huge reward in the life hereafter. Therefore, before making a plan to go for an Umrah trip, the first thing you need to do is to ensure that you are offering prayer regularly and you must be committed to continuing this habit of offering prayer on a regular basis throughout your life.